This game was 9-7 Chicago at the half…the Lions playing well with the home crowd/Thanksgiving energy, that they always do. The Lions then took the lead in the 3rd quarter, 13-7. It looked tenuous for the Bears…looking shaky behind sudden-starter Chase Daniel pressed into action. They just didn’t have that same big play capability. Tarik Cohen caught a wheel route TD to get the lead back, 16-13…the same exact wheel route they just missed for a TD earlier in the game. The Lions tied the game 16-16 with 7+ minutes left, and it was anyone’s ball game. A Lions win getting them back into the playoff picture. A Bears loss would let GB-MIN back into the division race…a Bears win really stepping on the necks of GB-MIN. After the Lions tied it, the Bears went three & out, and then I turned away from the game for a moment and the next thing I hear is the announcers screaming as Eddie Jackson pick-six’d Matt Stafford. The Bears defense, once again, saves the day…picking another pass in the end zone late to seal it. The Bears jump up to 8-3 with GB-MIN possibly playing for their playoff lives this week. GB-MIN tied earlier in the year, so ‘advantage’ goes to the winner in their Week 12 game. If GB wins, the Bears would have a 2.5 game lead over both of them (with 5 games remaining and a game with each of them to go). If GB loses…they fall to 4-6-1 and are near-death. The Bears are also staring at their top NFL defense hosting the Rams, potentially in frigid conditions Week 14 – if the Bears beat LAR, they might get a 1st-round BYE in the end. We see the Bears losing to LAR (unless really cold) and finishing 11-5, NFC North champs, and the #3 seed…potentially taking on the GB-MIN Week 12 winner in the 1st-round of the playoffs. The Lions fall to 4-7 and host LAR Week 13…so, for sure, kiss them good-bye for any playoff thoughts. We see the Lions finishing 6-10, at best. -- To me, Week 11…Kenny Golladay (5-90-0/8) became that #1 WR star I was chasing several weeks ago – the one I went nuts about acquiring, and then he instantly died off to WR4 production, and you thought I was bad at my job…but now he’s a star. This Week 12 game was the confirmation of the Week 11 work. New subscribers please remember this, and I’m not joking, and long-time subscribers will attest…I’m rarely wrong about football players/talent evaluations. I might be ‘too early’ but I’m rarely wrong…just ‘temporarily not right’ sometimes. I can see the future, but I don’t always know what time that future is happening. Guys who went wild for this season when I saw ‘it’ this season, in-season…Golladay, Enunwa, Curtis Samuel, David Moore, Josh Adams (loved Adams always, but I see ‘it’ about to happen this week). Almost all of them I was excited about a bit too soon. My bad. I don’t know how to time ‘it’, I just know ‘it’ when I see ‘it’. To bring myself down to earth…I didn’t see ‘it’ with Golladay in college. I saw raw talent but a ‘soft’ play style. He graded OK on CFM but not ‘wow’. As soon as I saw in his rookie NFL preseason, I changed my tune – he was definitely good/a starter and then some. Now, here we are…year-two – he’s not ‘good’, he’s ‘great’. The thing with Golladay is…it’s not the high fantasy numbers the past few weeks, it’s the way he’s playing. So physical. So athletic. Such reach. Such hands. Sensational. The last three weeks are about as good a WR play as you’re going to see from a young WR. Can you still acquire reasonably at all? Maybe. Probably not. But…no TD here, so that helps take some edge off his stock rise. 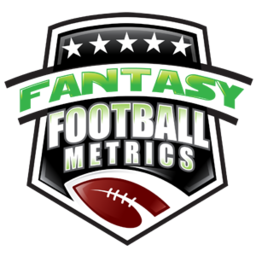 The real value killer (to the masses, not in reality so much), something to use as a value deflater – Marvin Jones returns and takes it all away or reduces it, etc. You need Marvin noise returning to help get this price down. Weeks 15-16 scared me for Golladay…Tre’Davious White and Xavier Rhodes. Not good. However, KG has been so good…he’s about to become ‘unbenchable’ regardless of matchup. -- Speaking of unbenchable… The Bears-DST. This defense has gotten so good, and better as the season presses on…how do you bench them because of ‘the Packers’ Week 15? The Packers aren’t that scary anymore…the Bears defense is scary (good). The Rams Week 16…your FF-title game. Unless it’s like a negative degree wind chill (and it might be)…you will be pained to start them there. The Bears-DST is so good now, I don’t think you have to get cute holding a Week 15 and/or 16 ‘other’ DST for weeks waiting to see…if you have other needs for the roster spot. You can ride the Bears and when we get to Weeks 15-16, we’ll see…and by then more QBs will go down/change the narrative/provide fresh opportunity at DST. -- This game could be known as the official ‘death of Jordan Howard’ (7-13-0), as a Chicago Bear, game. A backup QB starting. Facing a bad run defense. You figure the Bears come out and hide behind Howard? They didn’t. They haven’t tried that since Weeks 1-2-3. Once the Bears stopped trying to hide behind Howard…Chicago’s offense has started rolling. Howard will not be on this team in 2019. He doesn’t fit. They are wasting his and their time. I would near guarantee Howard is traded in the offseason and the Bears draft more of an Alvin Kamara-type…a guy who can run up the middle some but can also swing out in the pass game better. Howard is dead for 2018…just a guy you hope the Bears get a 14+ point lead and try to run the clock out behind. He’s LeGarrette Blount now. -- Speaking of Blount (19-88-2)…fine game against a top run defense. However, did you see the spark Zach Zenner provided 2-9-0, 1-4-0/1)? Zenner has more to give and could have thrown the Bears defense for a loop with his change-up style getting mixed in more. Zenner got in for touches during a random series mid-game and then ‘gone’. If Kerryon Johnson cannot return, Zenner might get more looks in a (now) lost season for Detroit but I suspect they’ll push KJ back for no great reason and Zenner disappears. -- Tarik Cohen (3-14-0, 7-45-1/8) keeps finding ways to produce. Since the offense changed Week 4…Cohen has a TD in six of their 7 games since taking off. While averaging 5.0 catches per game…even with two games with just one catch in there. -- Allen Robinson (2-37-0/4) getting held down because of Chase Daniel’s arm is a great ‘buy low’ opportunity. Nothing wrong with ARob. -- One quick note on Michael Roberts (3-16-0/4)…and it’s this: Man, does he look good. Star TE body, big frame, but moving so nimble for his size/frame. Detroit has at ARI, at BUF Weeks 14-15 and that’s going to warrant a top 10 DST projection but by then the Lions will be 4-8, losers of five of their last 6 and fading away. I don’t know how strong you can trust them. Lions-DST vs. BUF Week 15 or Bears-DST vs. GB? Not as easy a call as it seems. BUF-MIN Weeks 15-16…not great for Kerryon Johnson. Maybe not for Golladay, but he might be bulletproof now. How about ARob and Gabriel (and Trubisky and Cohen) in possible shootouts if decent weather Weeks 14-15 hosting LAR-GB? Looks good!